Is there any paperwork or document for the mechanical systems of 3 73 Cedar St, Ajax, Ontario? I need more information about the property at 3 73 Cedar St, Ajax, Ontario. How ist the neighborhood, location and nearby amenities for 3 73 Cedar St, Ajax, Ontario? I have questions about the roof, foundation, insulations and mechanical issues of 3 73 Cedar St, Ajax, Ontario? I need more information about property details. What's wrong with this house? Is this a short sale? Is there any maintenance for 3 73 Cedar St, Ajax, Ontario? What is this property worth in today's market? What are "closing costs", and how much? What steps should I take when looking for a home loan? What price home can I afford? Is my credit good enough to buy this house? What are the best mortgage options for me? How flexible is the seller on the asking price? How low can I consider offering for 3 73 Cedar St, Ajax, Ontario? 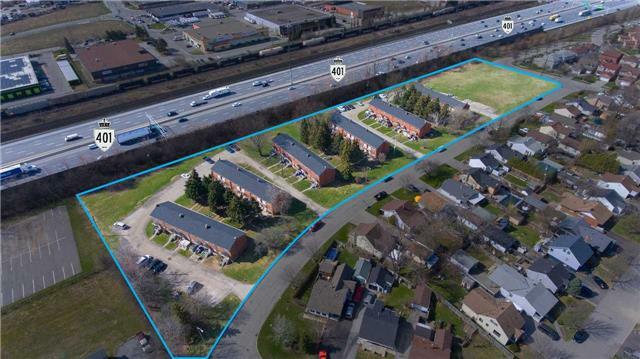 Well Located In Central Ajax, The Parcel Contains A Total Of 36 3-Bedroom Townhouse Rentals Near Full Occupancy And An Additional 1.11 Acres Of Vacant Residentially Zoned Land. The Property Offers Investors And Developers A Significant Value Add Opportunity With The Existing Units As Well As Mid-Long Term Development Potential For The Vacant Land Or Entire Parcel. The Property Also Benefits From Great Access To Local Amenities, Highway 401 And Go Transit. Tenants Are Separately Metered And Pay For Their Own Utilities, Snow Removal And Lawn Care. Common Area Lawn Maintenance (Including Vacant Land) And Property Taxes Paid By The Vendor.